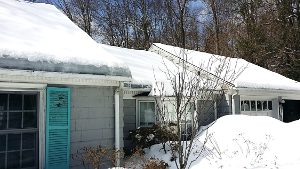 Burr Roofing, Siding, & Windows offers our professional snow removal services for roofs all throughout the Greater Fairfield, Litchfield, New Haven, and Middlesex Counties area. Contact us to schedule an inspection and estimate today! Our service area includes Bridgeport, Stratford, Fairfield and nearby towns and cities. Contact Burr Roofing, Siding, & Windows today to find out more about our snow removal and ice dam prevention solutions, or our other roofing services like roof repair and replacement. We work in Stratford, Bridgeport, Fairfield, New Haven, Milford, West Haven, Norwalk, Trumbull, Stamford, Shelton and cities nearby.